In the sick world that is the hard-left media sphere one can read attacks on straight people, white people, and men in general on a daily basis with each open attack getting worse than the last. The latest in this sort of liberal fantasy to eliminate those they politically disagree with comes in the form of a now deleted Tweet by an editor for the Huffington Post in which she declared that she wanted women to band together to kill all men. 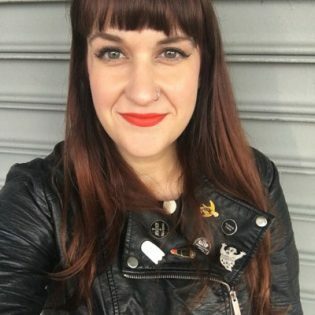 Emily McCombs serves as the “Editorial Director of Parents” for HuffPo and apparently felt it was alright to publicly talk about murdering billions of people before eventually realizing her mistake and taking down the original post without any sort of additional comment or apology. Its as if McCombs hoped it would disappear. Thankfully, The Daily Caller had already written up a short piece on McCombs call for murder that included the exact Tweet before it was deleted. One has to wonder if this is the type of person the Huffington Post wishes to employ, especially when you consider that McCombs has so far refused to apologize and is attempting to act like her Tweet never happened. Additionally, The HuffPo editor has a rather shocking history when it comes to her extremist feminist views, even going as far as to attack her own son for crimes he has yet to even commit. Filed my nails into sharp little points last night so that I may spear and devour the hearts of men. Can we have a day without men tomorrow? This is the hard-left at its finest folks.